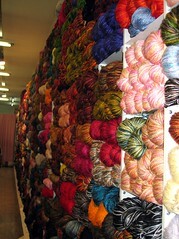 I'm off to Buenos Aires tomorrow and I'm dying for some yarn shop recommendations. If you have a chance, please send some lalong. I'd be extremely grateful!